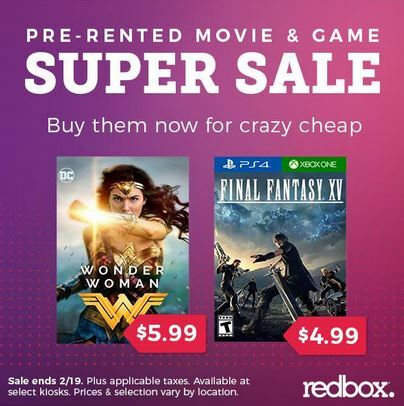 Check out this crazy sale Redbox is having for President’s Day! Previously rented movies and games will be available for a limited time at discounted prices. Movies and TV series will be available for as little as $3.99 and games for $4.99. This is happening through February 19th! Grab your deals now!